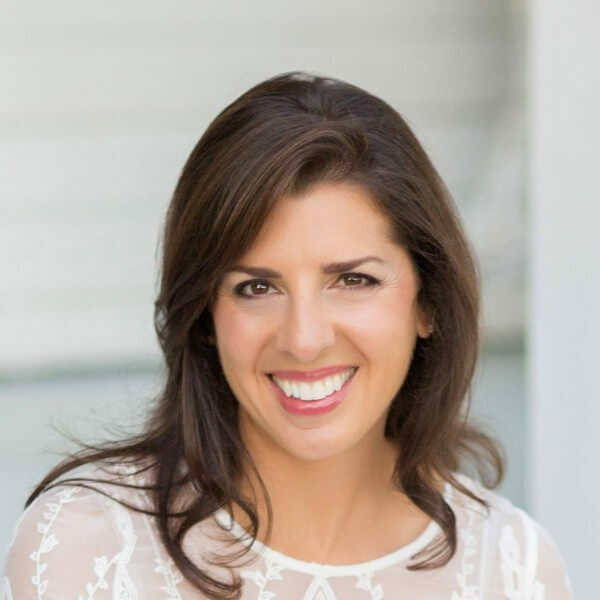 Michigan writer and Lebanese American Arab food blogger Maureen Abood has just released her debut book on Middle East food which is more than just a recitation of recipes, ingredients and directions on how to prepare the greatest foods in the world. Rose Water & Orange Blossoms is the story of Arabian food from Maureen’s life-experiences as a culinary school graduate and member of a family that like most Arabs was centered around the Middle Eastern kitchen. The introduction explains how she traveled to Lebanon for the first time and then put this collection of recipes and family food experiences together. She traveled to the lands of her “sitto” (grandmother) in Beirut and the family village in the south of Lebanon, Dier Mimas, bringing back a moving inspiration that fills the 256 pages of her new book recently published in hardcover by Running Press Book Publishers in Philadelphia, along with photographs of foods, spices and gourmet spreads taken by photographer Jason Varney. I’ve known Maureen a long time through email and social media as a respected writer. So few American Arabs have actually pursued writing as a journalism profession rather than being pushed into writing as an essential form of activism. Maureen does it so well. For me, Arabian foods, especially those with the flavor and practices of the Levant, are the most effective forms of activism. Middle Eastern food is the spirit that brings together the great diversity of the Arab World. This isn’t about gender bias roles as is often the case in many Western households. Arab men also love to cook as much as the Arab women and preparing and cooking the food dishes like roasted lamb, stuffed grape leaves or zucchini, hummus, tahini and tabouli salad, becomes as much of a family affair as and eating adventure. It almost comes naturally. 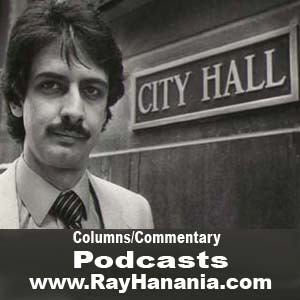 But we all need some expect direction and new ideas that add flare and great taste variety. Maureen’s book is a must read and essential reference if you plan to craft a Middle Eastern food dish from the nouns, verbs and adjectives that compile the recipes with the flare of a true Arabian chef. But even if you just want to prepare a Middle East food dish to enjoy as a meal, the stories Maureen provides offers context that will make your own food journey an experience. 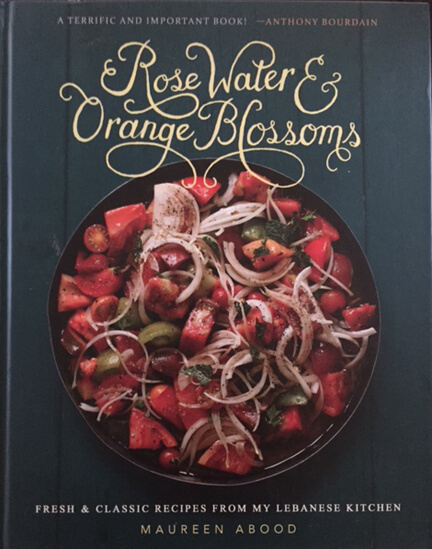 Rose Water & Orange Blossoms takes you through the basics and the complexities of Middle East cooking in a strategic fashion that helps you not just make a recipe but also create a phenomenal meal at the family table. The Flavor Makers chapter provides context and instructions on preparing the side dishes and flavors like Laban, Labneh, Toum (garlic sauce), Tahini and Za’atar. And no matter how much Arabs and others think they know about Middle East cuisine, there is always a new recipe that raises an exciting eyebrow. Like the recipe and photos of Maureen’s Za’atar Roasted Tomatoes. Wow. I have to try that. 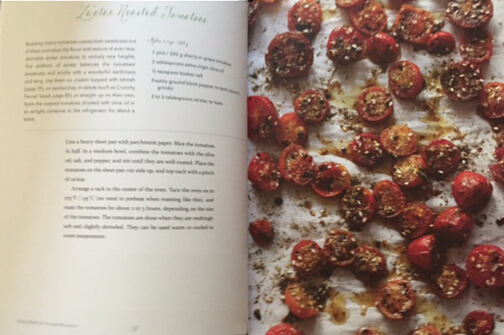 Maureen provides the ingredients, the recipe instructions, the brilliant photograph from Varney of the finished dish of Za’atar Roasted Tomatoes, plus the story that brings it all together. One of my favorites and something I find myself eating often, especially on the run, are found int he section on “Breads and Savory Pies.” These are meat pies, flat round breads covered in savory lamb (sometimes called Arabian pizzas), and also mint, spinach and Za’atar. Rose Water & Orange Blossoms also includes “Pickles and Preserves” and “Drinks.” and ends with a rather unique approach to recipe books I don’t always come across that takes selections from each section and creates a Menu of cooking tasks to create meals for yourself and your family. Middle East food is all about family in the Arab World. I can never forget seeing my mother in the kitchen rolling grape leaves, grinding lamb meat, dicing onions, green onions, mint leaves, tomatoes and more, or using a large wooden roller to roll the bread, which she always made herself. Maureen Abood’s book Rose Water & Orange Blossoms brings all that back for me. I know you will enjoy reading it, but more importantly, she walks you through holding the hand of the less experienced who see Middle Eastern food as a real challenge, helping you make some of the most popular recipe choices. For more information on Rose Water & Orange Blossoms and on Maureen Abood and her writings, find her on Facebook or visit her website at www.MaureenAbood.com. (Now through the summer, Maureen will be making appearances showcasing her book.